This project involved rooftop planters and steel landscape edging. The rooftop planters were custom Tnemec painted and made from aluminum and included drainage holes. The planters had great sun exposure and worked great as a vegetable and cutting flower garden. 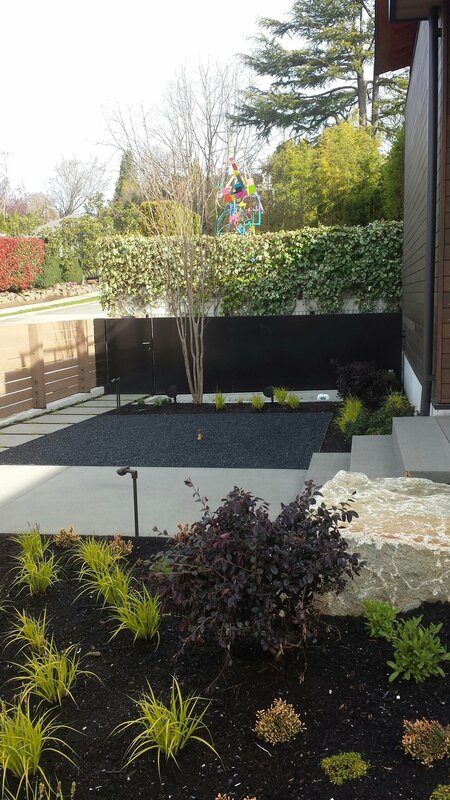 The steel landscape edging divided mutliple materials including decorative gravel, synthetic turf, and mulch.